BraceletBook.com (which also has an iPhone app!) is designed for friendship bracelet patterns but some of the patterns would also work for square stitch cuffs and perler bead designs - or as inspiration for other types of patterns. You can create and share your own patterns on the site, browse other people's, share photos/videos, and socialize. Foreign language site, but use Google translate if necessary; the owner posts free bead patterns and also takes pattern requests! This site has tons of cute patterns to create little beaded characters, including Pokemon! This is the website for BeadTool - the program I use to make all of my kandi patterns. You can download a free trial of the program here. 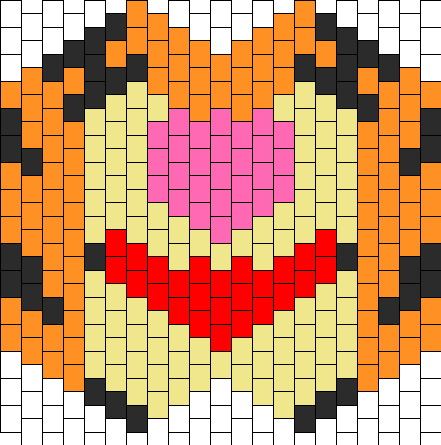 This is where I first started posting my kandi patterns, before this site existed. As of 3/6/2010, it contains 1,645 posts and has received over 160,000 views. More high-quality multi patterns for kandi cuffs!